Our professional design teams and print technicians have created an extensive library of custom digital wall graphics, patterns and murals that range from neutral and unassuming to loud and exciting and everything in between. All of our designs are totally customizable in color, scale, base material, and more. 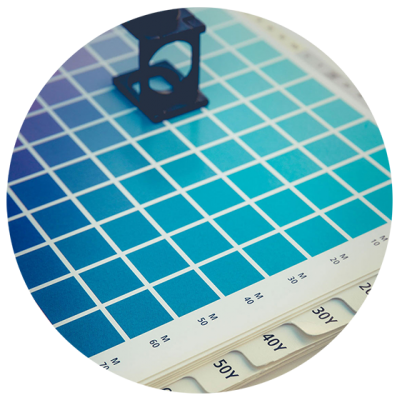 We stock well over 30 exclusive substrates, from white textures to metallized faces, and our fleet of solvent, latex and UV-curable ink printers can output anything you can dream of. If you don’t see what you’re looking for in our directory of stock designs, we’ll create a one-of-a-kind design for you, from concept to production. Improve productivity, overall mental health and sense of well-being through interior design with HD Walls’ Biophilic Collection. The collection was painstakingly produced and compiled by our team of professional designers to output the highest possible level of mental and physical benefits across multiple applications of interior design. Over 36 available options allow for maximum customization of your project, from exotic textures to industry leading sustainable options. Traditional white textures or highly reflective, flashy items, we have the right combination of materials to make your dream a reality. Our professional design teams and print technicians have created an extensive library of totally original wall graphics, patterns and murals that range from neutral and unassuming to loud and exciting and everything in between. 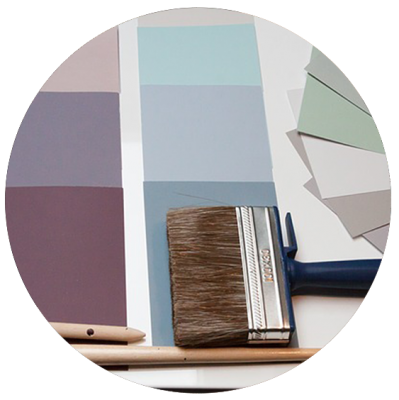 Our team of professional designers will identify the best approach for wallcovering design based on your ideas and requirements, existing interior themes and color schemes, available space, etc. The designers are experienced in multiple art forms, including digital graphic design and hand-drawn approaches. Original, one-of-a-kind wall graphics, patterns, murals, etc., which are guaranteed to make a statement in your space. Choose from 36 completely exclusive materials. Use elegantly traditional white textures, or take a walk on the wild side with our flashy, metallized surfaces and play around with white ink concepts. Our professional technicians will employ state-of-the-art, wide format digital printers using a range of technologies from solvent, latex and UV-curable inks produce the highest quality wall art. ORDER YOUR BROCHURE & SUBSTRATE BOOK TODAY! HD Walls offers a plethora of totally exclusive materials and substrates that allow us to create wallcovering not found anywhere else. Our substrate book allows you to see a 4″ x 8″ section of unprinted material. It includes all of our substrates, from the white textured products to metallic, Flash items. The brochure features smaller samples but more content and inspiration for the types of things you can do with each material option. The Cosmos Collection was inspired by acrylic pouring, a painting technique where acrylic paint is mixed with a pouring medium and then poured onto a surface in a variety ways. These original paintings were then scanned and digitally enhanced to create large scale murals perfect for a feature wall or accent wall. March’s Mid Month Mingle utilizes flowing gradients of blues, pinks, purples and greens that fade into each other among generous sections of negative space. The starkly contrasted colors feel more natural and easier on the eye due to the artful colorization and textural transitions. Check back here every month for a new themed compilation of designs that coincide with seasonal and industrial trends. 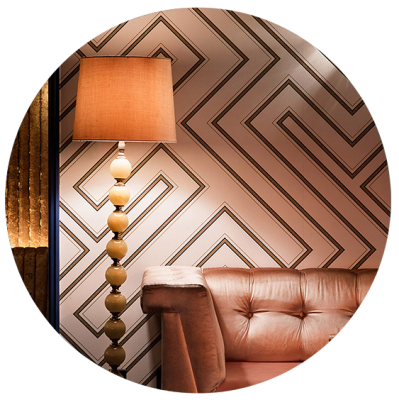 HD Walls offers a plethora of totally exclusive materials and substrates that allow us to create wallcovering not found anywhere else. Our substrate book allows you to see a 4″ x 8″ section of unprinted material. It includes all of our substrates. HD Walls has created stunningly unique wallcovering and wall mural designs for countless multinational and domestic businesses. Using our fleet of state-of-the-art printers and exclusive materials, our teams of designers and print technicians regularly produce truly unique wall graphics that are sure to leave a lasting impression with visitors. 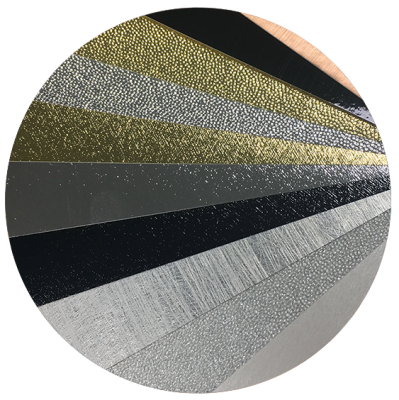 Leading edge technology and experience allow us to completely customize any wallcovering in scale, color, material, ink, and more. Check out some of HD Walls’ work from all around the world. Sign up for our Newsletter to see new designs and collections first!